There are many reasons to look forward to summer. As an environmental lab, the arrival of warmer weather and longer days marks the beginning of “Soil Vapour Season”, which is a very exciting time at CARO! Proper sample collection in the field is key to collect a good sample the first time, especially for soil vapour. This fall in BC, it is going to be even more important due to the stage 10 Omnibus changes to the Contaminated Site Regulations (CSR) which prescribes standards that are, in many cases, lower than what we have seen in the past (see here for CSR vapour guidelines). 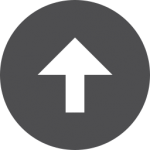 1) TD tubes are unidirectional – always follow the arrow! The tubes have been packed to provide gradient sorption based on molecular weight. If you reverse the tube, you risk decreasing your low molecular weight recoveries. Longer and/or faster sampling does not a better sample make. Sampling at rates greater than 200mL/min is not recommended, and collecting more than 10L can cause active site degradation (and decreased recoveries.) CARO offers the lowest DLs in the industry, to help you reduce your sampling times without compromising sample integrity. Contact us for more details! 3) Keep your TD tubes away from impromptu water fights – do NOT get them wet! 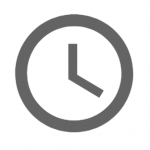 Although the adsorbent media is hydrophobic, much like your apple watch it is only protective up to a certain point. Excess moisture can damage the packing material by swamping out the active sites, thereby preventing adsorption of target compounds. Keep your ice for your beer, and ship only with commercial ice packs. 4) Choose your tube material wisely! Teflon, Nylon, Polyethylene and Polyethereetherketone (PEEK) tubing are all common tubing material, but not all are created equal. 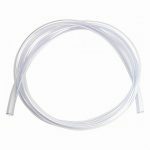 Certain types of tubing have been shown to emit target VOCs, and are therefore not all suitable for vapour collection – especially in this hotter weather. CARO has done extensive research on the residual VOCs from various tubing types, and selects only the most stable for our soil vapour orders. 5) Send it to the experts! Collecting a good vapour sample is not easy, and you should take pride in your perfectly collected specimen. Would you trust your sample to just anyone? Be mindful of your laboratory’s track record in downed instrument time as well as the knowledge of the scientists handling your samples. Opt for a lab that guarantees their work! 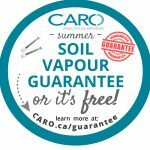 Find out more about CARO’s Soil Vapour Guarantee, here. As usual, the team at CARO is always happy to help with your unique project needs. Learn more on our soil vapour page here, or contact us directly with any questions!